Eligibility: PADI’s Women’s Dive Day Global Video Contest (“Contest”) is open to PADI Individual Members worldwide who are 18 years of age or older, and to and PADI Dive Centers/Resorts worldwide (“Entrant”) who are hosting a PADI Women’s Dive Day 2018 event (“Event”). Individual Members include PADI Divemasters, Assistant Instructors, Open Water Scuba Instructors, Specialty Instructors, Master Scuba Diver Trainers, IDC Staff Instructors, Master Instructors, Course Directors, Freediver Instructors, Advanced Freediver Instructors, Master Freediver Instructors and Freediver Instructor Trainers. Entrants must be current Members in good standing with no open quality assurance issues. Employees, officers, directors and family members of employees of PADI Worldwide Corp. and all related and affiliated companies (collectively referred to as “PADI”), globally, are not eligible for the Contest. Contest is void in the Australian Capital Territory (ACT) of Australia and anywhere restricted or otherwise prohibited by law. How to Enter: Entrants can submit video footage from the 2018 Women’s Dive Day Event hosted by PADI in July 2018 (“Contest Submission”). Entries can be submitted by email to: josh.shave@padi.com. Videos must be sent using a file sharing service such as We Transfer or Dropbox. Contest Submissions should contain underwater and/or topside video footage of Entrants showcasing their 2018 Women’s Dive Day event. Submission should include Entrant’s name, PADI Member Number and contact information. Contest Submission Judging Criteria: At the conclusion of the Contest Submission Period the judges (three PADI staff) will review all eligible entries received and select the Winners based on inspiration, quality of footage, originality and/or best overall depiction of the Event. Contest Submissions should be a video that showcases women in diving. All underwater environments are allowed (pool, freshwater, ocean). The primary objective is to promote women in diving and the PADI Women’s Dive Day 2019 event, but the footage can also show all participants in the 2018 event regardless of age or gender. PADI Safe Diving Practices and other recognized, conservative dive techniques and circumstances should be reflected in the footage. Footage that shows any touching or damaging of marine life will not be considered. Video should be under two minutes in length. High resolution photos (minimum 1000 pixels) and/or event description and quotes welcomed, but video must be submitted to be considered. Video submissions should be a minimum 1080p. Entrants warrant that the Contest Submissions they submit to the Contest are their own videos and/or photos. Each entrant gives PADI and/or its designee the legal unlimited rights to use any Contest Submission Entrant submitted for this Contest, whether it is a winning entry or not, without photo and/or video credit. Entrant warrants that all information provided is accurate and that Entrant personally took the video and/or photo(s) submitted for this Contest or has written permission from the videographer/photographer to submit the video and/or photo(s) for this Contest, and that Entrant has the legal right to use any Entry submitted by Entrant for this Contest. 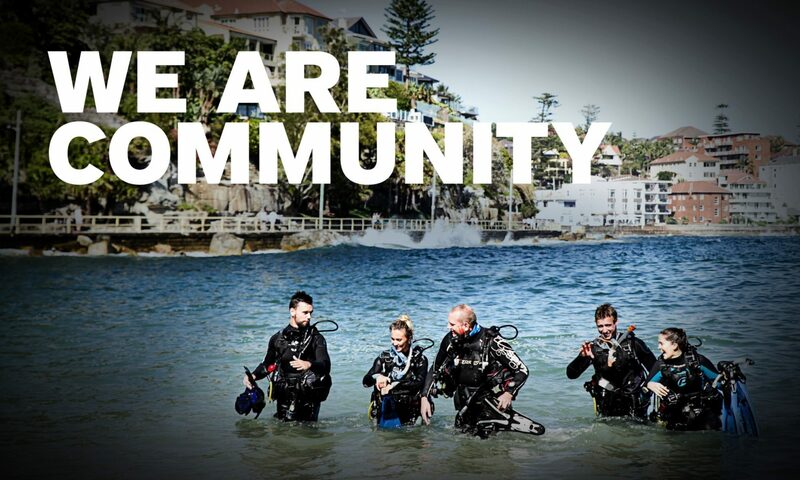 PADI’s use of Entrant’s Contest Submission will not violate any third party rights. All Entrants agree to release, discharge, and hold harmless PADI and its affiliates, subsidiaries, advertising agencies, agents and their employees, officers, directors, and representatives from any claims, losses, and damages arising out of their participation in this Contest, any Contest-related activities, and the acceptance and use, or misuse of any prize awarded hereunder. By entering a Contest Submission each entrant hereby grants PADI the non-exclusive royalty-free irrevocable rights, in its sole discretion, to use, reproduce, copy, publish, display, distribute, perform, translate, sublicense, adapt, modify, create derivative works from and otherwise exploit the Contest Submission (in whole or in part) and to incorporate the Contest Submission in other works, in any and all markets and media, whether now known or hereafter developed, throughout the universe in perpetuity; these rights are granted to PADI whether or not the submission is a winning submission. Winner (“Winner”) will be required to sign and complete a Publicity Release & Affidavit of Eligibility and return it to PADI within 5 days of notification, otherwise the prize may be forfeited and awarded to an alternate Entrant. Winner gives PADI unlimited rights to use Winner’s name, picture, Contest Submission and likeness, globally, in advertising and publicity for this Contest, and for any other PADI use, without further compensation, where permitted by local law. Such use may include but is not limited to PADI YouTube Channel and related scuba YouTube Channels, Facebook, Twitter, Instagram, www.padi.com and press releases. No substitution of prize is permitted. PADI’s decision and selection of the Winners shall be final. Next PostNext The PADI Master Scuba Diver Challenge is Back!